Corban set out to create a painting series to bring plastic bag bans to light. Across the world, cities and countries are fighting to ban plastic bags to help reduce waste. 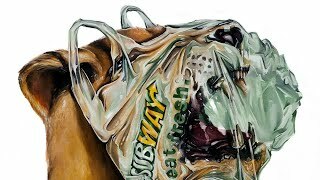 This oil painting series exposes harmful plastic effects on wildlife in a surreal and provocative way, in hopes to raise environmental awareness.